Cracked teeth demonstrate many types of symptoms, including pain when chewing, temperature sensitivities, or even pain on the release of biting pressure. 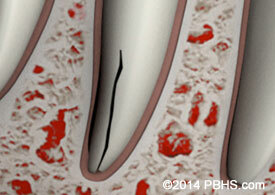 It is also common for tooth pain to come and go, making it difficult to diagnose the cause of discomfort. 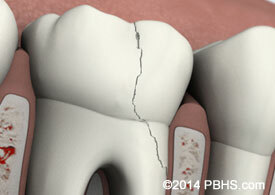 When a cusp becomes weakened, a fracture may result. 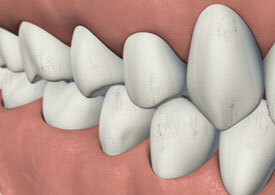 The cusp may break off or be removed by a dentist. 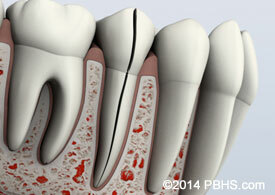 A fractured cusp rarely damages the pulp, so root canal is usually not necessary. 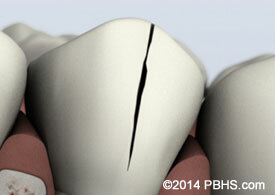 Your dentist will restore the tooth with a full crown.